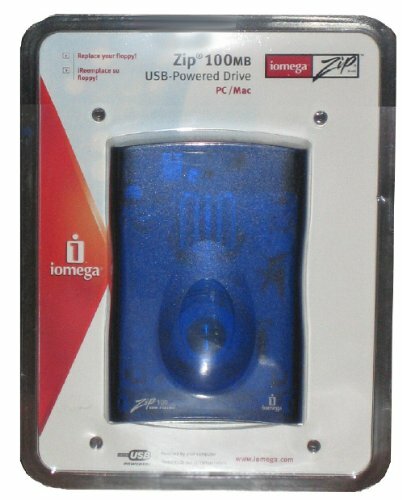 The Iomega 100MB USB powered Zip Drive stores your files securely. Its easy to use, just drag and drop your files. The drive is durable and secure allowing you to password protect your information. Package contains Iomega USB 100MB Zip Drive, USB cable, Start Here First Welcome Kit and Iomega QuickSync software as well as other software titles. For use with 100MB Zip Disks only. Will not work with 250MB or 750MB Zip Disks.